A warehouse, factory or office built with a sectional steel frame has significantly greater structural strength flexibility and durability than one using wooden studwork or brick and concrete walls. It is made of specialist Light Weight Steel Section sandwiched together with insulation (Rock wool and Styrafoam) and covered with plasterboard or mesh and Acrylic plaster to form an unbeatable 0.16 U Value! Light weight steel section is widely used all over the world as the most versatile and cost effective structure for framing out both internal spaces and external balconies, facades and cladding. HADFRAME takes this superior performance one step further. Hadframe is computer manufactured to the exact dimensions on the Structural or archetects drawing and is thus dimensionally perfect. 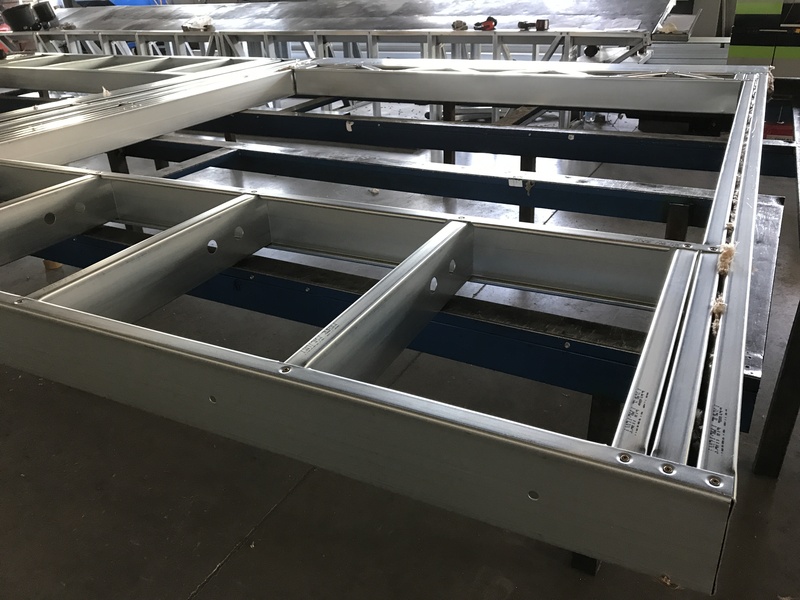 It can be pre assembled in the factory to reach the site as complete sectional walls or as a flat pack for assembly on site. Either way there is no on site cutting or measuring. All the beam ends are machine crimped prior to delivery and locate easily with one another as well as the self drilling screws also being self locating. All cable and service runs are pre punched and the floor beam holes have a 20mm flange pressed into their edge which increases load strength by up 20%. A main structural frame has been been developed to span greater distances and provide a rigid sturcture which is capable of modular replication and construction of clear span stuctures up to five stories in height. A precision made box beam and post system is pressed and assembled in the factory. Once delivered to site the light weight steel components are screwed together and the reinforcing steel assembled inside the casing. Once this structure is complete and the temporary supports are in place the whole box profile structure is carefully poured with air entrained concrete. Once the concrete has hardened it creates an exteremely strong and durable structure ideal for office and multi level residential construction. 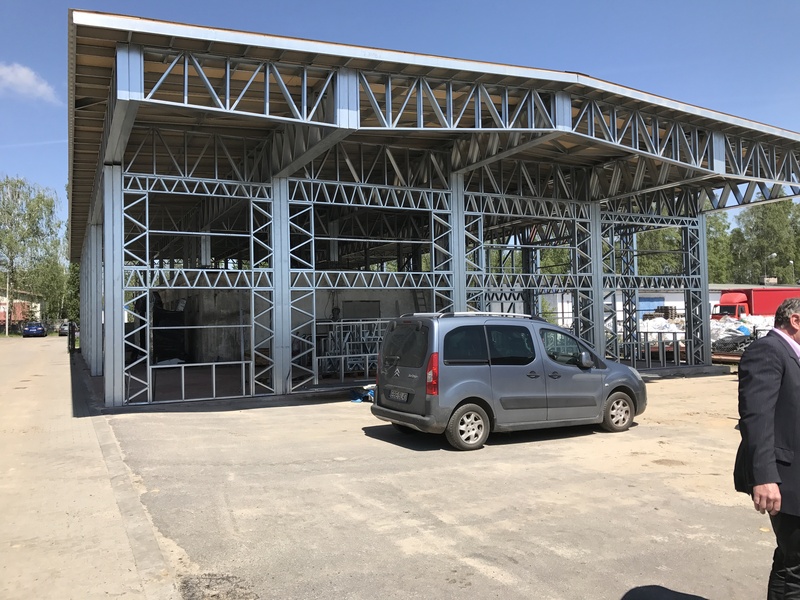 The external openings and the internal dividing walls are all infilled with light weight steel sections which increase the structural integrity of the build. The hanging Façade or external façade has become the accepted solution for high beam construction, allowing for multiple cladding types and significant insulation. In addition it vastly reduces the down load of the structure when compared to more traditional cladding methods. HadFrame, with its precision engineered finish, is ideally suitable to external wall structures whether the building is to be clad in brick, glass, composite panel or styrafoam and Acrylic plaster. Light weight steel sections can be delivered in pre assemble panels to crane into position, thus reducing time on site, or boxed as flat pack with all screws and drawings. Hadham Construction are pleased to produce working drawing as part of the tender process and welcome any invitations to tender.